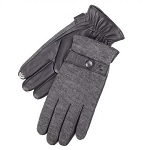 These stretch fleece and nylon touch screen gloves by Totes Isotoner feature conductive thread woven into both thumbs and index fingers which conveys the electrical impulses from the wearers finger to the touchscreen. 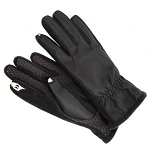 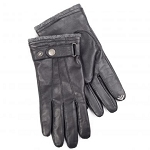 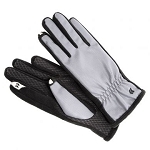 They also have a textured diamond mesh pattern on the palms for a non-slip grip on your handheld device, are water repellent, and are lined with luxurious fleece for extra warmth and comfort. 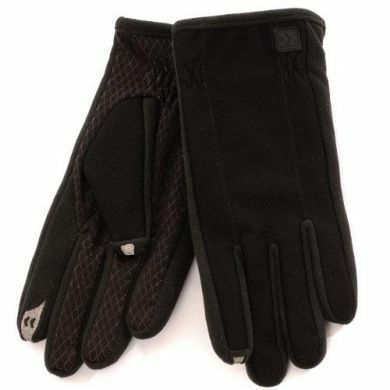 They come in one mans size.